Retail therapy. Shopping. Eye candy bliss. 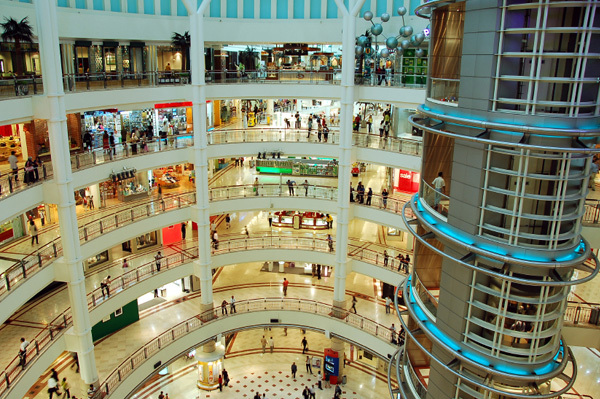 As you travel the country near and far for business or pleasure, you’ll most like engage in a certain American pastime: Shopping at the mall. restaurants, food courts and overall appeal. having an American Girl Boutique and Bistro. mall in the country with more than 300 stores that include JCPenney, Lord and Taylor, Nordstrom and Sears. James Perse, Gucci, Henry Bendel and more. disappoint. It’s anchored by Neiman Marcus, Lord & Taylor, Nordstrom, Macy’s and JCPenney, and its 300+ stores include Juicy Couture, Ed Hardy, Louis Vuitton and Michael Kors. its levels add splendor to the shopping experience with Tiffany & Co., Neiman Marcus and Coach. frigid winter. Place Montreal Trust is one such mall with its warm, inviting stores and ability to connect to its more affordable counterparts: More Montreal malls. down-home American stores like Bebe and Talbots, a visit to Toronto is not complete without perusing the fine establishments in the Eaton Centre.